This is a nice example of the very popular Halcyon 27 that has just had (2018) the hull stripped back and then epoxy coated followed by a new paint job to the hull above the waterline and also the topsides. New anti foul and she has just gone back into the water. An ideal first time boat for a single person or a young family this tough little offshore cruiser sails well in all conditions. 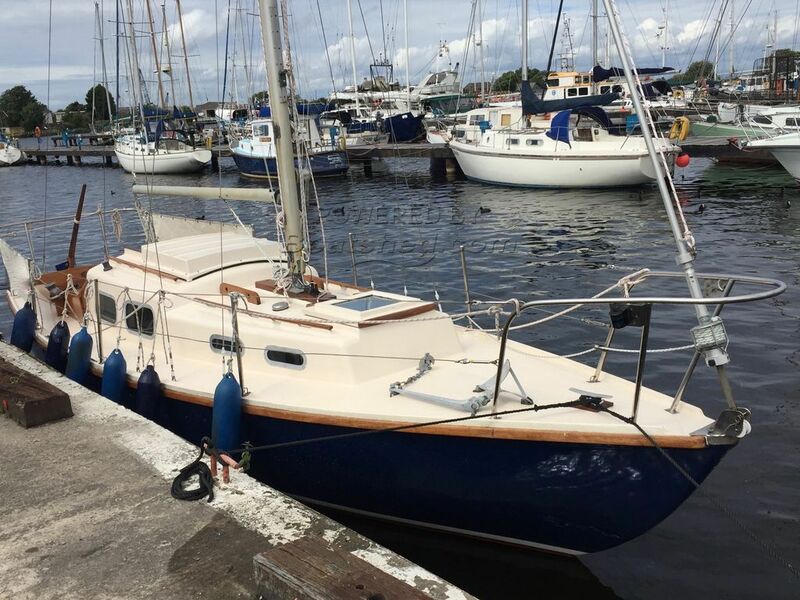 This Halcyon 27 has been personally photographed and viewed by Paul of Boatshed Lancashire. Click here for contact details. Please note this comments section is public. Please do not post your personal details here. To enquire about purchasing this boat, please contact the broker directly at pauldiffin@boatshedlancashire.com. Please read our commenting guidelines before posting.